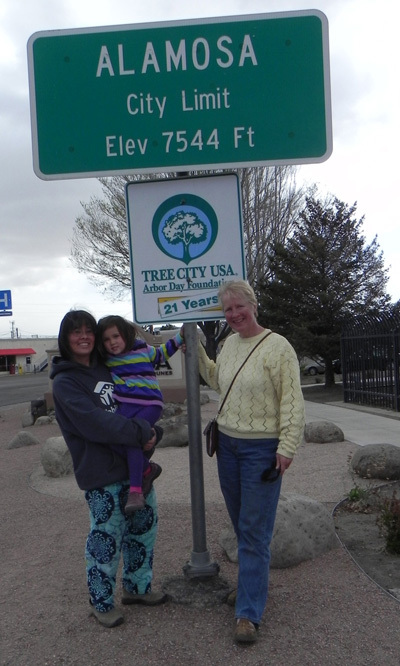 The Alamosa Tree Board honors Audrey Liu (15-yr Alamosa Tree Board member), daughter Shasta, and Jan Oen (8-yr member – stepping down) as our City celebrates being a Tree City USA for the 21st year. Tree City USA celebrates the efforts of citizens to support urban forests nationwide. Passionate about trees? Come to the Alamosa Tree Board meetings. They're usually scheduled for the 1st Wednesday of the month at the City Complex.